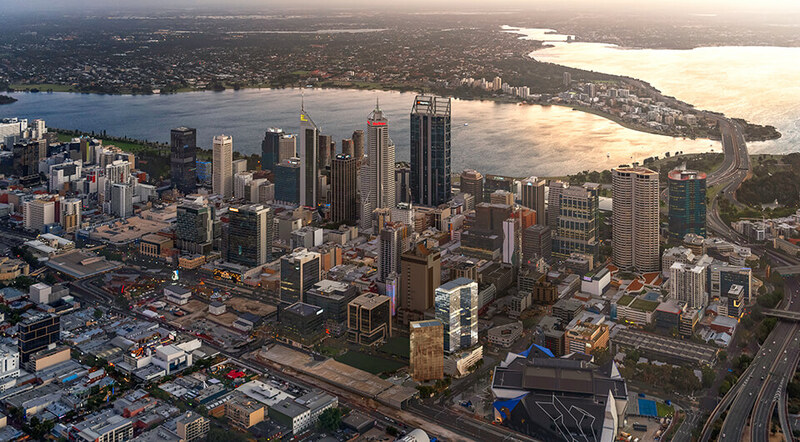 As construction nears completion on Far East Consortium’s Ritz Carlton in Perth, the renowned developers have shifted their focus to its new $1.4 billion project which will take place in Perth’s Northbridge. Four years ago, Far East Consortium acquired the prime location for the complex, with plans to transform the site into a dual-tower multi-use complex. The Cottee Parker-designed Perth Hub has undergone many design iterations over the journey, before gaining approval last year. One tower stands at 32-storeys tall and comprises 304 residential apartments. The second tower will house the 4-star Dorsett hotel and will feature 250 rooms across 23-storeys. An exception to the tower height restriction was made, due to the floor space being creatively redistributed throughout the tower – demonstrating design excellence. The residential tower has been designed with a range of apartment configurations available, to facilitate first-home-buyers entering the property market. – FEC WA manager Dan Sweet. The desirable location and affordable rates have seen 120 off-the-plan apartments sell almost instantly, with only 184 residential properties left on the market. Interested? Enquire here. Guest and resident amenities include a lobby bar, meeting space, spa facilities and a direct connection to the underground Perth Central Station and Bus Port. Completion is anticipated for mid-2020.